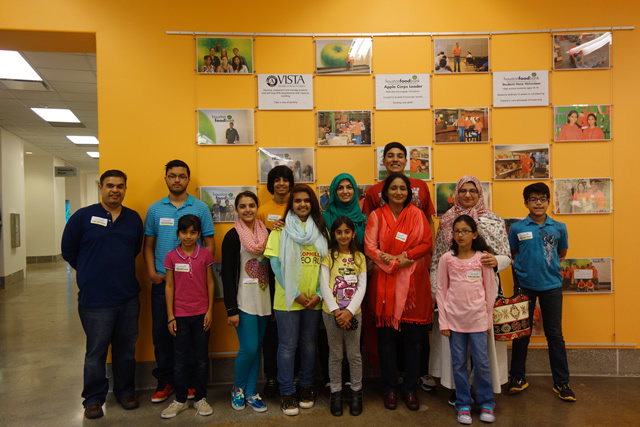 Cypress Islamic Center has Iftar hosting spots available for Sundays. If you would like to join the group of families hosting iftar on the following days, please enter your information below and someone from the administration will call you to confirm. The Cypress Sunday School Team is looking to add personnel – teachers and staff – for the 2015-16 academic year. 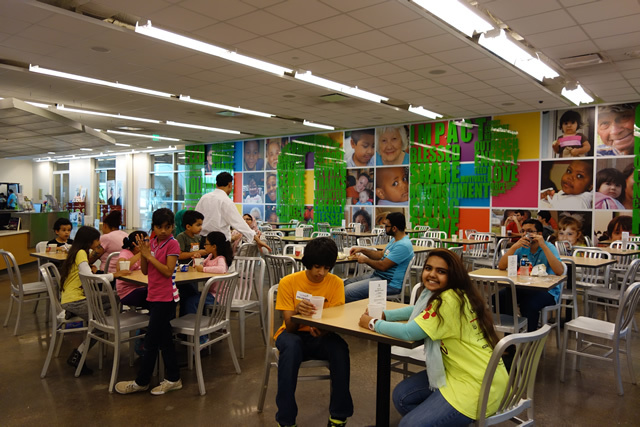 The school meets every Sunday from 10 am to 2 pm with a lunch break. Each position (teaching, staff) requires strong commitment to student learning and team effort. Generally, these are “voluntary” without a compensation, but for some positions (where a specific expertise is necessary like arabic or quran tajweed), a basic compensation is available. Handle student registration, keep track of expenses and collect payments from parents. Assist in day-to-day tasks such as attendance, classroom setup, etc. Must have good organization skills. 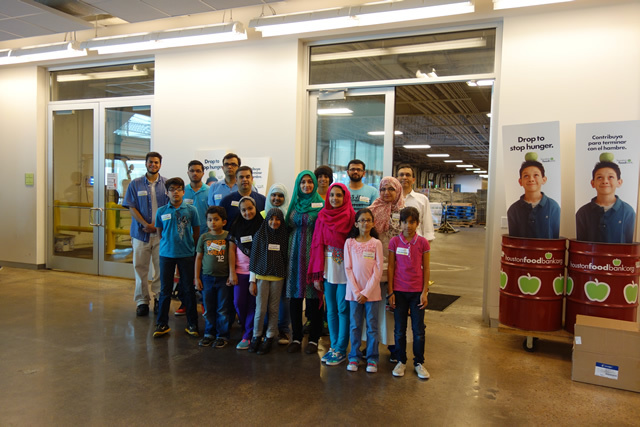 On September 29th, 2014, Imam Aref Hammad presented on the topic of Udhiya. Click on the link below to read the full article. Dear fathers and mothers, you will certainly receive a great reward and endless happiness if your child learn to read the Quran with proper tajweed. The Cypress Sunday School Team is looking to add personnel – teachers and staff – for the 2014-15 academic year. 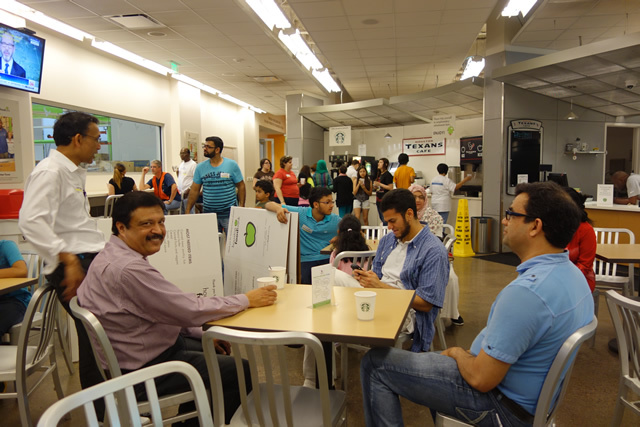 The school meets every Sunday from 10:30 am to 2 pm with a lunch break. Each position (teaching, staff) requires candidates who have at least a bachelors degree. A strong commitment to student learning and team effort is important. Generally, these are “voluntary” without a compensation, but for some positions (where a specific expertise is necessary), a basic compensation may be considered. Should be familiar with duas in Salah and teach the rules of Salah to students. Should have well versed knowledge of Islam, Islamic history and the lives of the prophets. Should be well-versed in Quran recitation with a good knowledge of tajweed rules. Should be able to explain the verses of Quran. Ensure students are respectful of teachers and peers, and behave in class. Work with the teachers and the School Team on complaints of student disruptive behavior. Contact parents in case of student absences, poor behavior or other discipline issues. 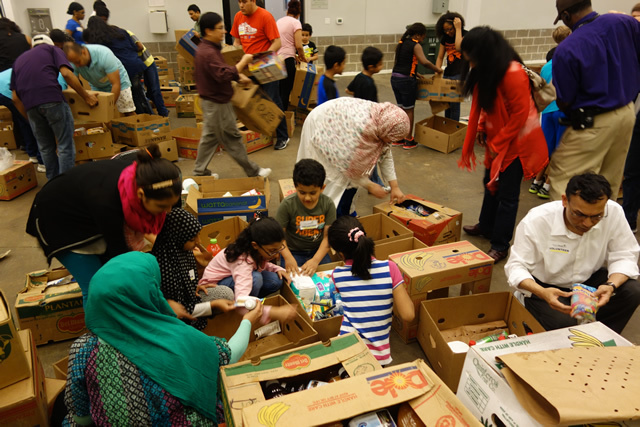 Cypress Islamic center plan to have community iftar and dinner every Friday and Saturday during the blessed month of Ramadan. Community Iftar schedule has been posted on the notice board at the Masjid. 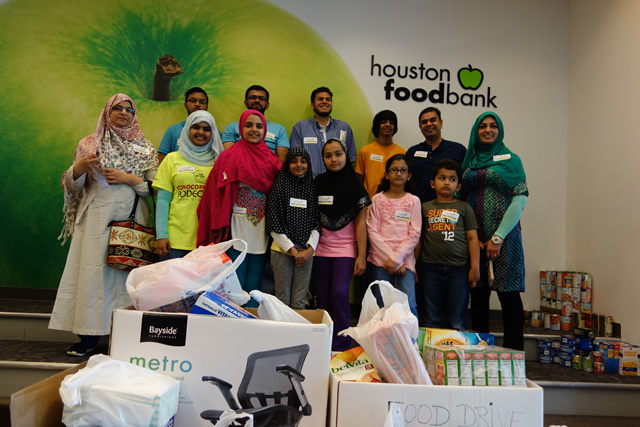 If you and your family like to participate for community iftar please signup online or contact us at 832-287-9681 for more information. 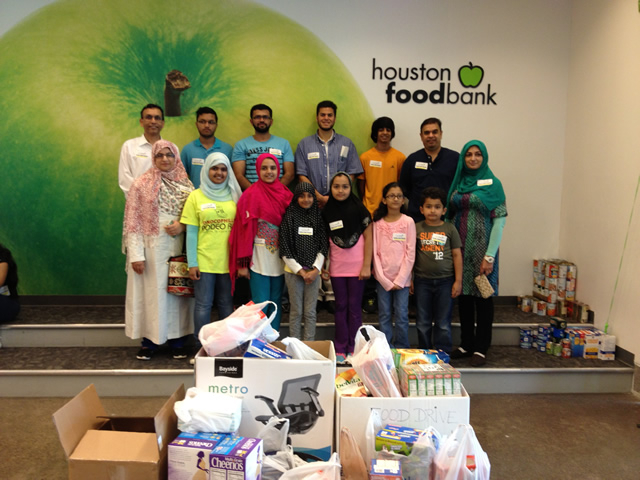 On April 12th, 2014, the team left the masjid around 12 noon in a three car convoy with all of the collected food items. 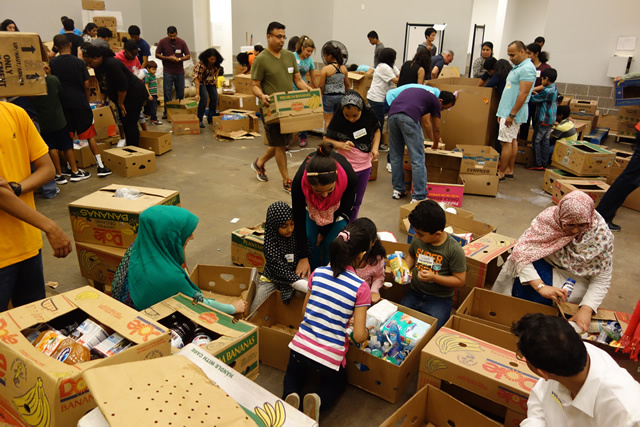 There were nearly six boxes of food that were donated by the community and the children over the last two weeks. 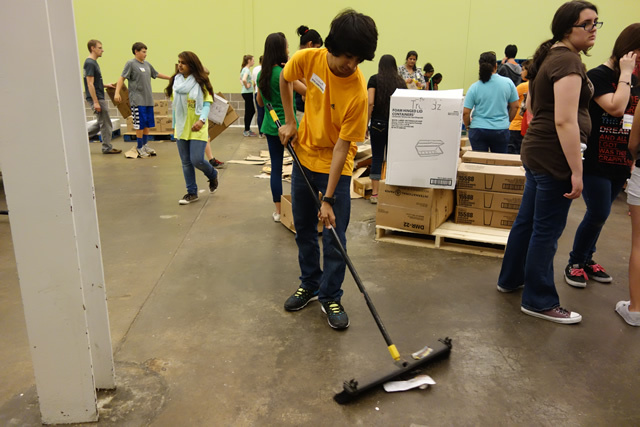 The team included 9 adults (including a few teachers) and 1 children volunteers. 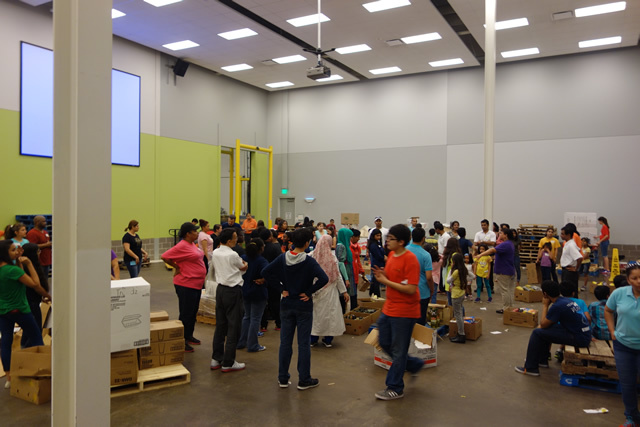 We arrived at the Houston Feed Bank on Portwall Street on time and took the food in. After taking a group picture, we informed the registration desk of the team’s readiness to participate in the project. Soon we were called along with other groups from across Houston. 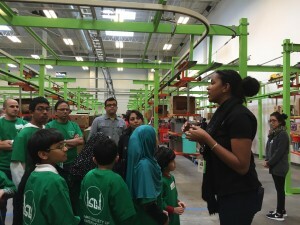 In the large room where the team worked, further instructions were given and the team members started working with great enthusiasm. 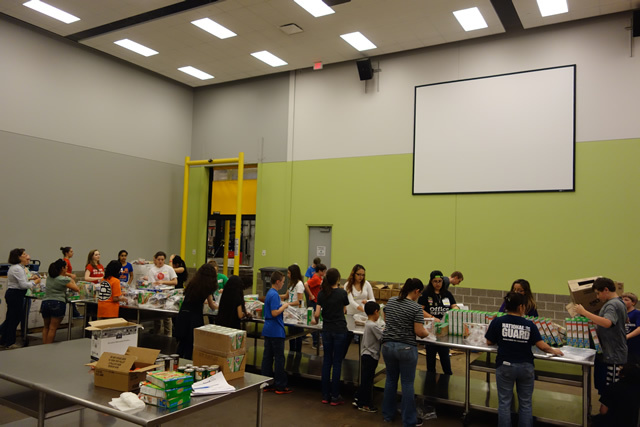 Everyone worked hard unpacking and packing food into boxes, transporting the boxes, cleaning up the cardboard and plastic and so on. We worked for about 90 minutes and took our first break with some snacks in the cafeteria. We returned and worked another 30 minutes or so until the work finished for the day. We assisted hundreds of other volunteers with the cleanup and after taking one last group picture with a poster, we left the Food Bank. 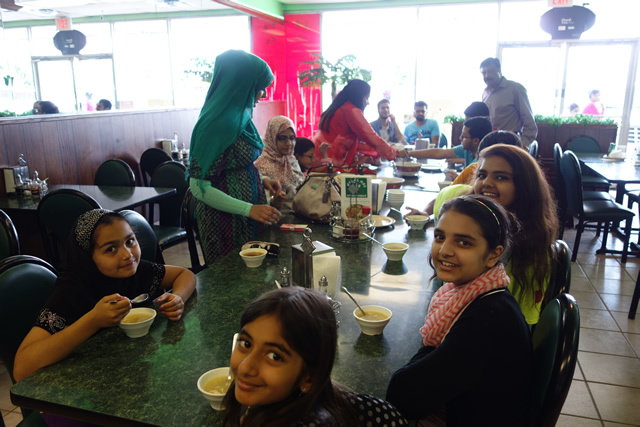 On the way back we stopped and had lunch before returning to the masjid. The children had a good learning experience, one that was also hands on and great fun. Above all they learned that they belong to a community with diverse members, where many are in need of help. They had the satisfaction to see how strong the community feelings are working with total strangers to help other strangers. We may worship in different ways but we all belong to the same humanity. I want to thank Br. 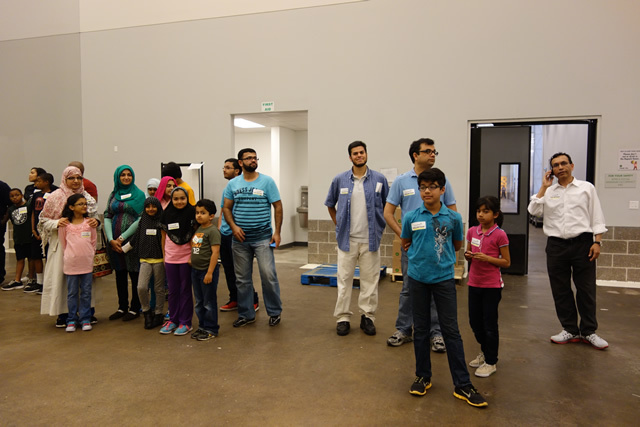 Waheed for doing the heavy lifting here organizing the field trip. 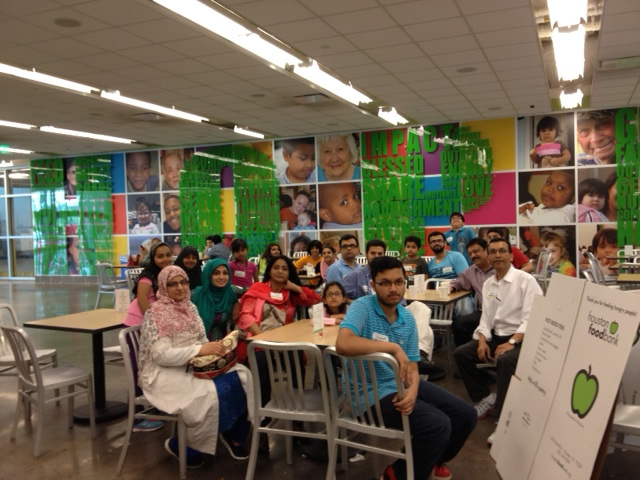 Of course, we are grateful to all the volunteers, teachers and parents and students who participated. 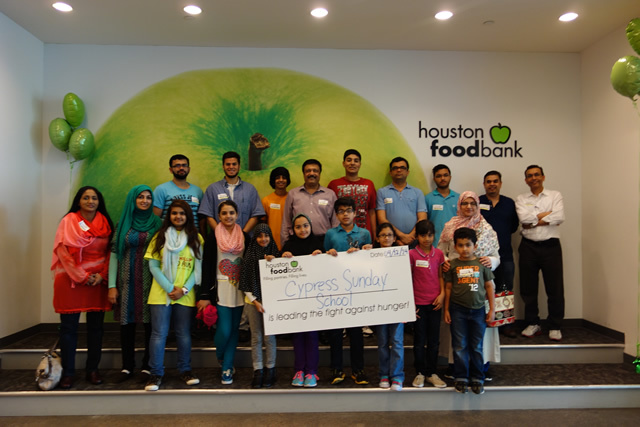 Inshallah, we have big plans for the next trip to the Houston Food Bank in the fall semester.